We’re extremely proud of this very prestigious project – after all you can’t get much more important than the seat of government. Moreover, this project involved all aspects of Peel Interactive’s expertise combined in a single integrated solution; where planning, design, 2D animation, 3D modelling, filming and Augmented Reality were all integrated into a cutting-edge, app-based learning tool of the highest quality. 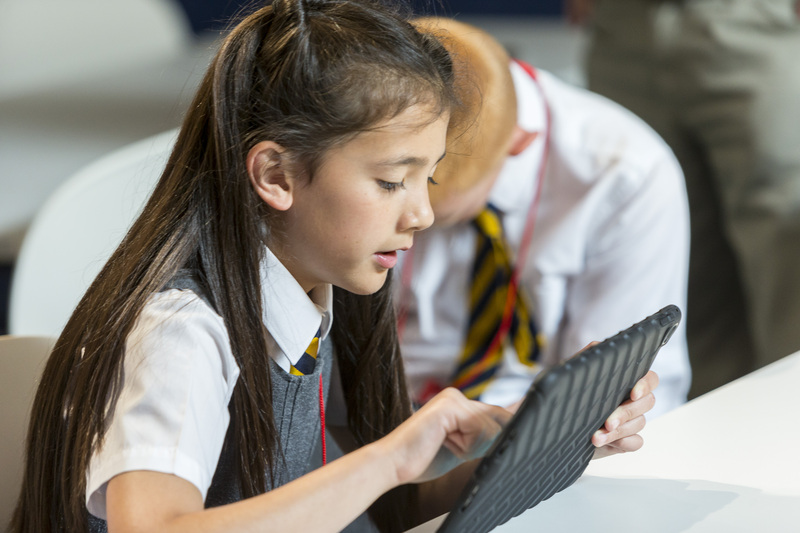 The Parliamentary Education Service was looking for Augmented Reality (AR) solutions to provide fresh content to school visitors aged 8 to 18. We worked closely with the client to scope out some creative ideas and suggested ways of turning important historical subject matter into a cool and engaging experience. We then workshopped our ideas with a group of local school children and settled on a series of ‘Horrible Histories’ inspired animations, which they thought would be a fun way to learn about history. The result is a truly special AR app, which enhances educational workshops aiming to inform, engage and empower young people with three key themes; Parliament is relevant, Parliament is yours and Parliament is evolving. 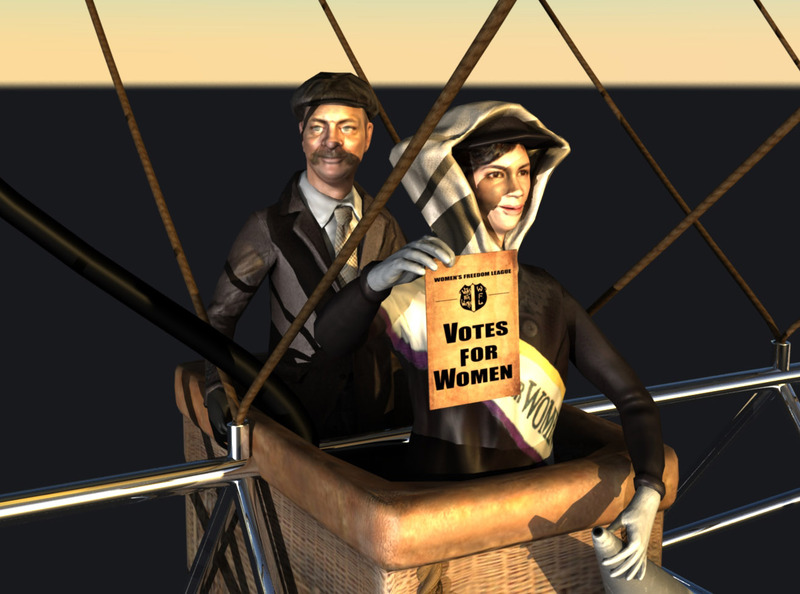 Using this app, learners now experience important historical moments through the lives of key monarchs and political characters, whilst also gaining first hand and unique access to objects they would not usually have the opportunity to see close up. Peel Interactive’s Parliamentary Education app features two animated historical characters, Queen Victoria and Charles I, inspired by the ‘Horrible Histories’ illustrations of Martin Brown and brought to life by our skilful 2D illustrator and animators. By simply pointing a device at an image on the wall of a classroom, a portrait springs to life, with the featured monarch then telling the user about their relationship with parliament in an amusing and engaging way. Pre-production involved establishing the plot and script for this feature. Because each shot in animation is so labour-intensive, it is imperative to get the required shots right during this early stage. Animations were then displayed on storyboards; large foam-core or poster board sheets, on which the main action in each scene is drawn in a comic book-like form and which can be quickly viewed by the client. During pre-production, the client reviewed the storyboard for consistency, feedback was received and parts of the storyboard were redrawn accordingly. The Production stage followed, when our computers stepped in, creating and colouring digital ‘cels’. Meanwhile, a background was drawn (on the computer, or hand-drawn and scanned) and then imported into an animation program, with each cel layered onto the background in succession. This was then saved on the computer as a single video file. The finished products were humorous and visually engaging animations, which have received very positive reactions from children, as well as delighting the client. The stunning visuals combined with the comical script, which is entertaining and informative, provides a unique and effective way of getting complex messages across. 3D modelling was crucial to construct the AR environment for this ground-breaking app. Two highly accurate 3D models of the House of Commons and the House of Lords were built. This was no mean feat, as restricted access meant that for much of the mapping data we had to use images found on Google as source material. The House of Commons model shows the chamber as it was rebuilt by Sir Winston Churchill following bombing damage during the Second World War. Care was taken to ensure the room was 100% accurate, from the number of buttons on the chairs to the hidden speaker system built into the room. The chamber is fully explorable and users can examine the speaker’s chair, mace and despatch boxes which encourages engagement and furthers their knowledge of the most important room in Parliament. 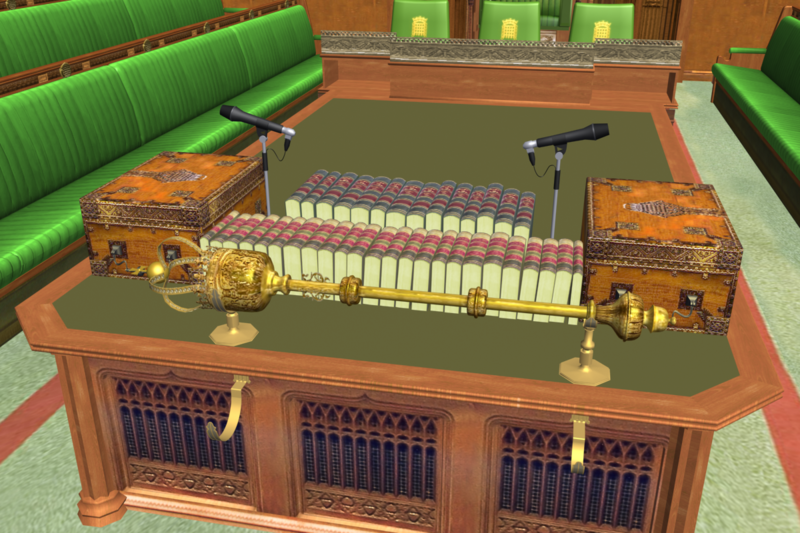 The House of Lords model includes a 3D animated scene, whereby pointing an iPad at an image of the chamber triggers an animated 3D scene, showing the visitor the traditional ceremony which takes place whenever The Lords sits. Careful attention was taken to recreate every detail of the ceremonial sword and historical clothing worn by the Mace Bearer. The user can then delve into history even further by interacting with points of interest. They can learn about the importance of the woolsack, mace and throne and marvel as the angel statues come to life, flying around the room. "Peel's work is wonderful. They did such a fantastic job, which will enable young people to learn about Parliament in a unique and exciting way." As well as 2D animated characters, Peel Interactive also filmed two scenes using live characters, to be inserted into the 3D worlds created by our amazing designers. 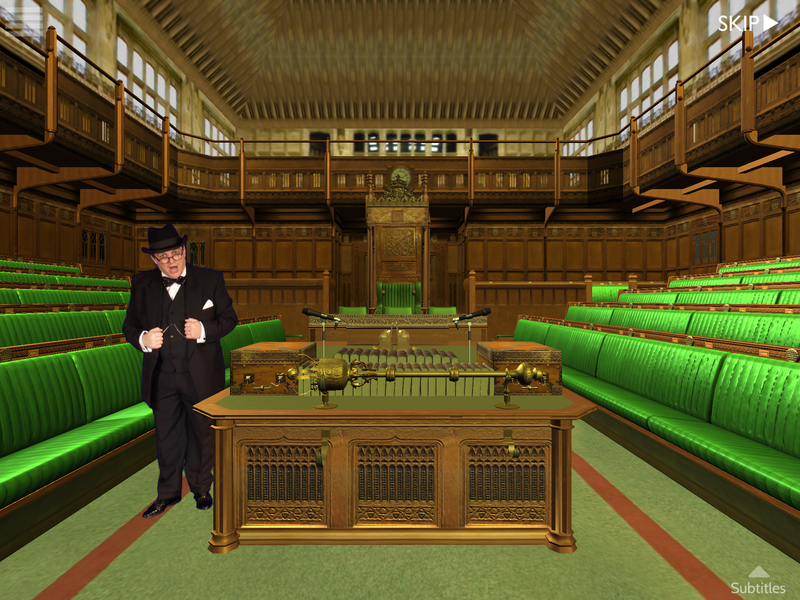 Filming against greenscreen (chroma key) allowed us to place our live characters into the 3D virtual House of Commons, giving users fascinating insights into the roles of real people in British parliament, both past and present. The first scene featured an actor portraying Sir Winston Churchill. We cast three actors in the first instance, to provide the client with a choice. All were provided with period costumes by our wardrobe department and transformed by our hair and makeup team to look like the great wartime leader. The second scene was a real contrast. We filmed the inspirational modern day animal welfare activist, Lucy Gavaghan; a Sheffield teenager who ran a successful campaign to stop the sale of caged hen’s eggs in some of the major food outlets. Lucy had never acted before on camera but was a natural public speaker. Our team worked with her to ensure she felt comfortable throughout the filming which helped build her confidence during the process. Using this combination of filmed scenes and AR, visitors to the Parliamentary Education Service are now able to travel back in time and experience Winston Churchill giving one of his famous speeches in the Commons chamber, and hear how a 14 year-old girl can engage with parliament to make a real change. The Peel Interactive AR app for the Parliamentary Education Service delivers fantastic on-brand learning messages through beautiful design, innovative content creation and a unique and interactive digital experience.